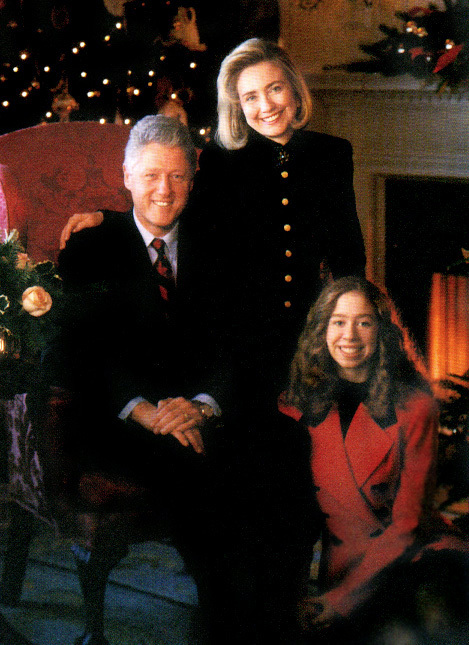 The Clinton family is an American political family related to Bill Clinton, the 42nd President of the United States (1993–2001), and his wife Hillary Clinton, the 67th United States Secretary of State (2009–13), Senator from New York (2001–09) and the First Lady of the United States (1993–2001). Their immediate family was the First Family of the United States from 1993 to 2001. In 2016, Hillary Clinton became the first female presidential nominee from a major political party in United States history. The Clintons (Bill and Hillary) are the first married couple to each be nominated for president. She was defeated in the election by television personality and businessman Donald Trump.